This year, my son finally asked for a e-ink Kindle. 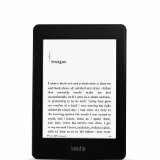 So, for Christmas, I bought him a Kindle Paperwhite and one of the $50 fire tablets. Since he is already a Prime Member (another gift from mom and dad), I wanted to fill him in on a couple of Prime benefits that only applied to device owners. Since this is the time of year when many people get Kindles for the first time, I thought I would share these with everyone. Kindle Owners’ Lending Library (KOLL) allows Prime members to borrow one (1) book per month for free. Works on Kindle e-reader, Fire tablet, or Fire phone. Only available for device owners with memberships to Amazon Prime. Borrowed KOLL titles may also be shared with another adult in your household through Amazon Household and Family Library with select Prime memberships. Eligible books display the Prime logo. There are over 500,000 books in the lending library. Complete instructions with video are here. A couple of important points here: First, there is no master “list” of book available to lend (the books actually change all the time). Secondly, you are not able to pick books from the web or the Kindle app. You also can only browse the Kindle store from your device to see which books are available to borrow. This tends to be a source of frustration for a lot of people, but it is the way the program works. Every month Prime members can choose one (1) of the books selected by Amazon’s editors for FREE. There are generally four to six books to choose from. These are books that will be released the following month. Prime members can sign up to receive a monthly e-mail newsletter announcing new Kindle First picks. Unlike the Kindle Owners Lending Library, these titles can not be shared with other household members. Non-Prime members can usually purchase one of these titles for $1.99. Over the years, these programs have been one of my favorite features for Kindle owners. I have read entire series that I would not ordinarily have bought. I have also read books that inspired me to go out an buy the entire series after reading the first book. It can be a great discovery tool. The Kindle Owner’s Lending Library and the Kindle First programs are not meant to be a substitute for subscription services like Kindle Unlimited or Scribd. Rather, they should be thought of as an added Prime membership perk alongside the free shipping, video and music offered with the program.